Louis Chuck was born in Jamaica on the 4th November, 1952 to parents who came from China. He started drawing at an early age and drew cartoon characters while in high school. 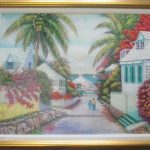 He attended the Mico Teacher’s College in 1974, and graduated in 1977 as a teacher of Art and Crafts. 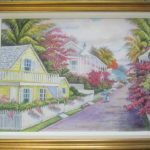 It was while at Teacher’s College that he took up painting seriously, and has been painting pictures ever since. 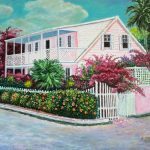 In 1981, he had his first solo show of 20 paintings in Kingston. He sold 19 of them and gave the 20th one away. 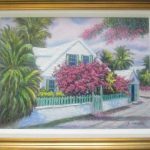 Over the years, he has displayed his paintings at various Art Galleries in Jamaica which are, Hi-Que Art Gallery, The Art Gallery, The four Corners Art Gallery and The Bolivar Art Gallery, all in Kingston. 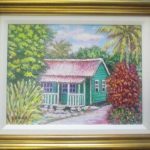 He has also displayed his paintings in the galleries in Ocho Rios and Montego Bay, Jamaica. 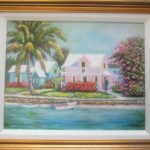 In 1984, he came to The Bahamas to teach Art at a high school in Nassau. 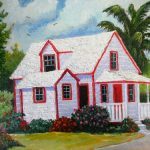 Soon after, he started painting scenes of Nassau and the Family Islands. 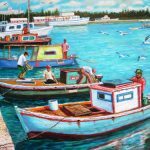 His paintings are collected locally and internationally. 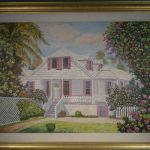 His paintings are in England, France, Germany, China, The United States, and several Caribbean Countries. He is married and has two beautiful daughters. 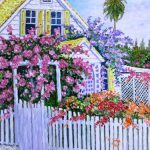 He paints in Oils, Acrylics and Water Colors. 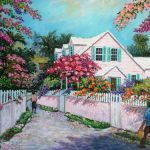 He has been painting for over Thirty years and has sold hundreds of paintings.